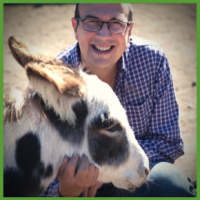 Ken Ramirez – Training animals for conservation; Chimpanzees, Elephants, Polar bears & more! Ken Ramirez is the Executive Vice-President and Chief Training Officer of Karen Pryor Clicker Training where he oversees the vision, development, and implementation of training education programs for the organization, including ClickerExpo, Karen Pryor Academy, and The Ranch. This allows Ken to help bring positive reinforcement training to all corners of the animal training world. Previously, Ken served as the Executive Vice-President of animal care and animal training at Chicago’s Shedd Aquarium, where he developed and supervised animal care and animal health programs, staff training and development as well as public presentation programs for a collection of more than 32,000 animals. He worked at Shedd Aquarium for over 25 years. A 40+ year veteran of animal care and training, Ramirez is a biologist and animal behaviorist who served nine years at Marineworld of Texas. He also was a trainer and coordinator at Ocean Safari in South Padre Island, Texas, as well as acting as a consultant to many zoo and aquarium programs throughout the world. He began his training career working with guide dogs for the visually impaired and has maintained a close affiliation to pet training throughout his career. He hosted two successful seasons of the pet training television series Talk to the Animals that compared pet training to the important work done with training and caring for animals in zoological facilities. He also works closely with several search and rescue dog organizations, service dog groups, as well as with bomb and narcotic dogs. 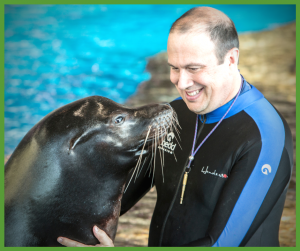 Since 2005, Ken has brought his experience as a trainer of many cognitive projects with marine mammals and primates to the dog arena. Most notable has been his work with modifier cues, adduction, matching to sample, mimicry, and counting. The latter two projects: teaching dogs to mimic or imitate other dogs; and to learn the concept of counting are in the process of being prepared for scientific publication. Both of these projects have documented cognitive abilities in dogs that have not been previously well reported or understood. Ken has also pioneered groundbreaking conservation training projects with chimpanzees, polar bears, elephants, butterflies, and other animals. Conservation training applies behavior science in the field with free-ranging animals and uses remote training to facilitate learning to assist wildlife biologists in a wide range of projects. Ramirez has been active in several professional organizations, including the International Marine Animal Trainer’s Association (IMATA), of which he is a past president. Ken has been actively involved in the creation of a certification process for animal trainers in zoological settings. Ramirez has written for numerous scientific publications and authored countless popular articles. 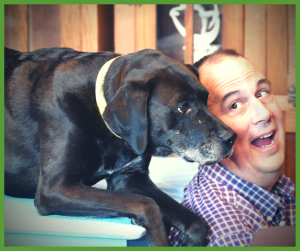 He authored the book ANIMAL TRAINING: Successful Animal Management through Positive Reinforcement, published in 1999 and Better Together: The Collected Wisdom of Modern Dog Trainers, published in 2017. Ken taught a graduate course on animal training at Western Illinois University for 20 years and currently offers several online courses through the Karen Pryor Academy. In 2017 Ken moved to Washington state where he created a series of immersive hands-on training courses at The Ranch, the Karen Pryor National Training Center. Thank you – I really enjoyed this podcast – such passion and enthusiasm is a delight to listen too. I hope that we can all continue to move towards the goals of offering all animals the choice they deserve in all that they do for us, with us and around us as we work, live and learn with them. Thank you for your top tips Ken!